It’s not always easy to get the right insurance to meet your needs. You can find a lot of companies out there offering cheap rates, but do they really give you good coverage? You often get what you pay for, and using an insurance company that you know nothing about and have never heard of might not be a good choice when you have to make a claim. You can be left with nothing if your car is wrecked and there is some ‘loophole’ that keeps your insurance company from paying. Some companies simply disappear with your money, too, so that’s another thing that you should pay close attention to. When you do find a great company, take the time to decide which coverage you need. If you have a nice, newer car you’ll likely want to have full coverage insurance so that anything that can happen to the car will be handled by the insurance company, minus your deductible. Most people set their deductible at $500, but there are other options. 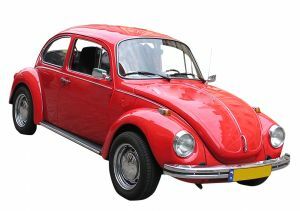 Financed cars generally require full coverage, but it’s a good idea on all newer cars, regardless of financing status. For older cars, personal injury protection (PIP) and liability is usually all you’ll need, but if your car is still worth a bit or you live in a high crime area, adding comprehensive coverage that will handle fire, theft, and glass breakage can save you a lot of money and headaches.